Tara McGillicuddy is an internationally recognized Adult ADD / ADHD Expert. Since 1997 Tara has been providing virtual support and Education to people affected by ADD / ADHD. Tara has a passion for helping people affected by ADD/ ADHD lead happy and productive lives. Through the use of online technology Tara has spent the last 2 decades connecting people affected by AD/HD with Education and Support resources. 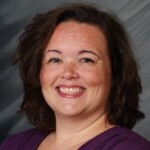 Tara is the founder and director of ADDClasses.com THE leading resource for virtual ADD / ADHD Support and Education. She is also the host o ADHD Support Talk Radio the #1 ADHD podcast on iTunes and top Self-help show on Blog Talk Radio. In addition to her online ADD /ADHD resources Tara also provides AFFORDABLE ADHD Coaching to Adults with ADD /ADHD.